I’m working on a new webcomic series sans words. That’s right, each comic will be devoid of any dialogue or description and hopefully the humour will get across via the purely visual medium. It’s always good to challenge yourself in new ways someone important likely said somewhere down the line. 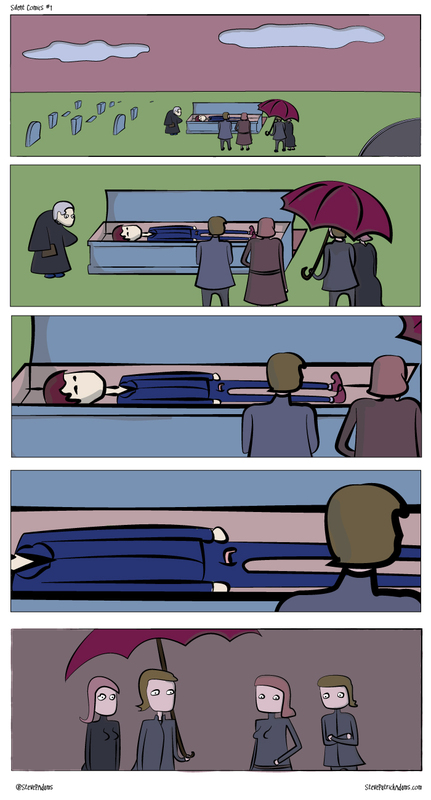 This is the first comic with the classic backdrop of a funeral. Enjoy and shhhhh!